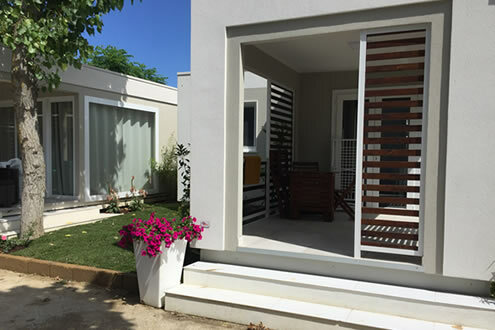 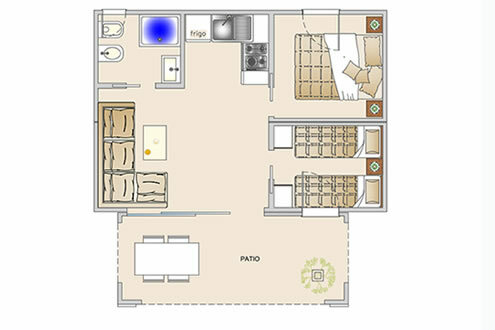 Three rooms: livingroom with kitchnette, master bedroom, 2-3-4 bed bedroom, double private bathroom, TV, air-conditioning, large equipped veranda and little garden. 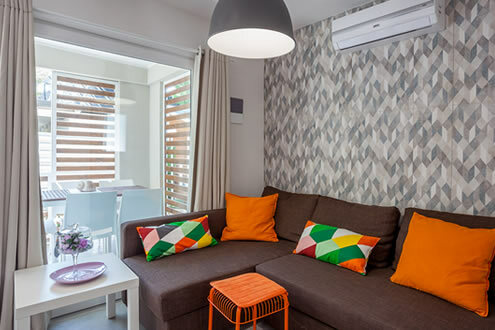 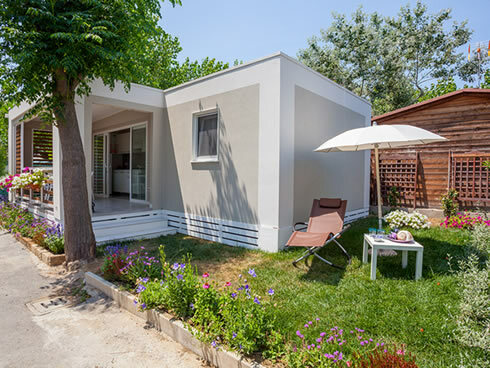 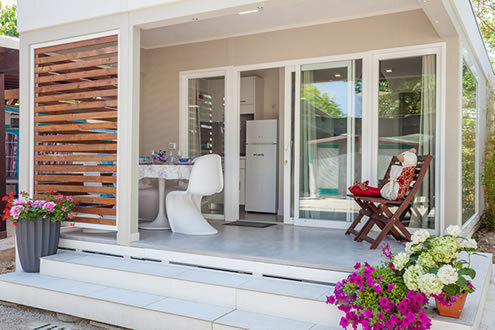 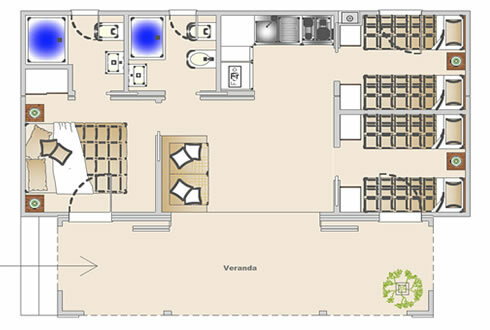 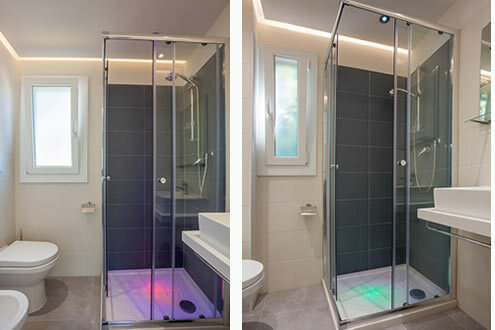 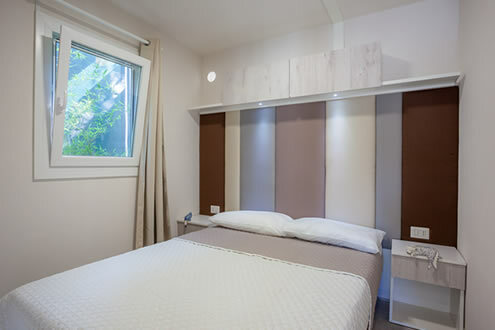 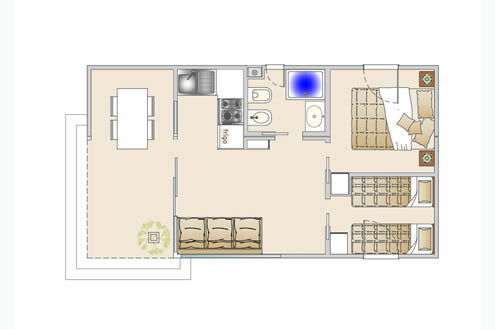 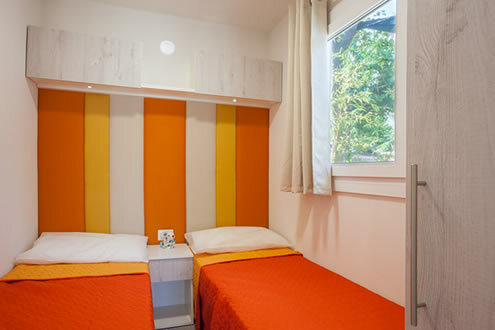 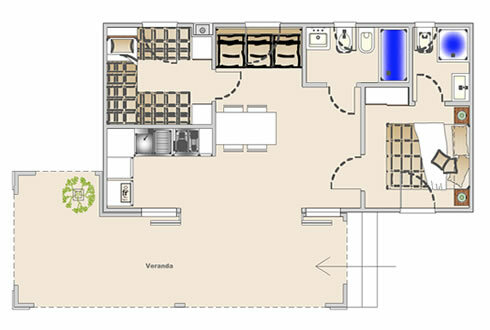 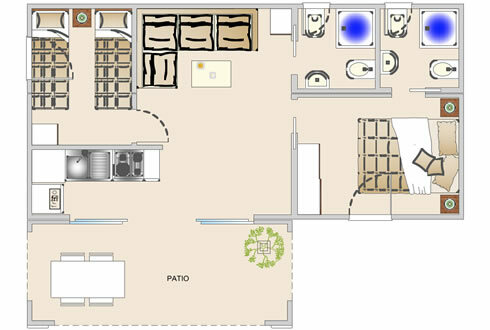 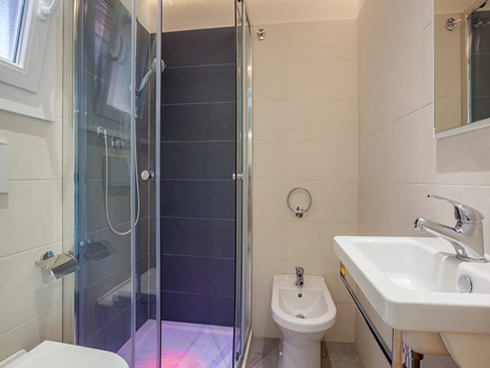 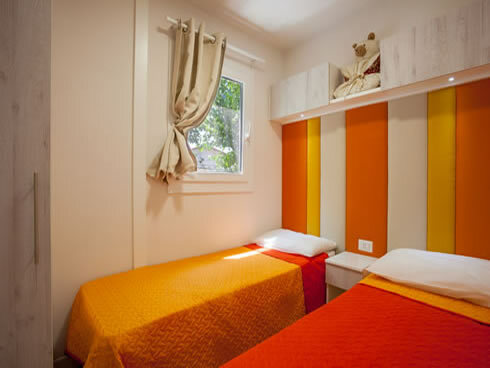 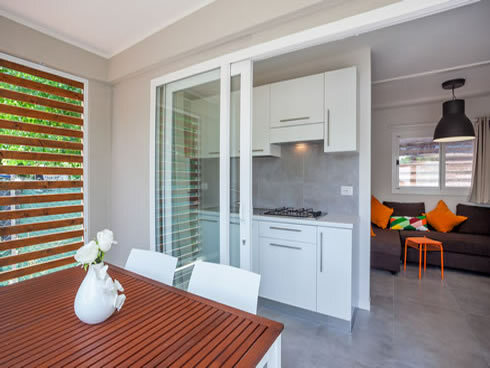 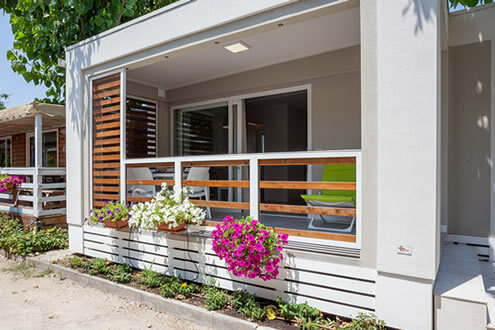 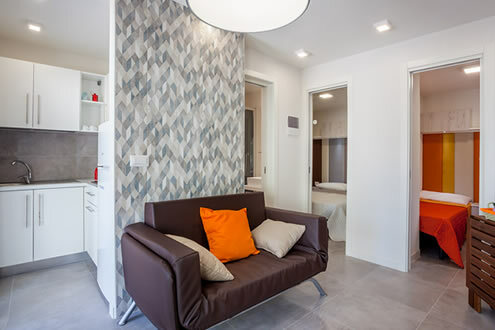 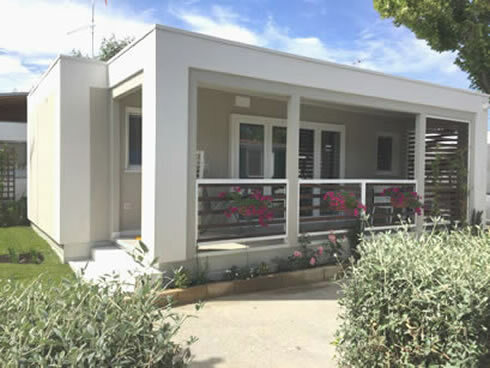 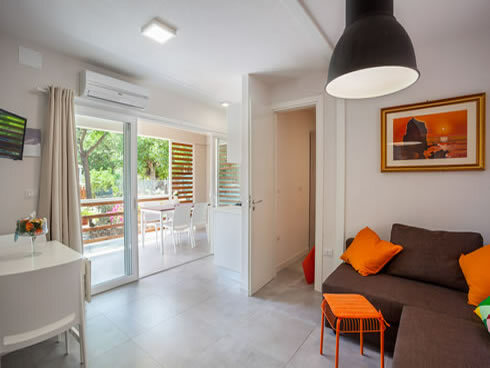 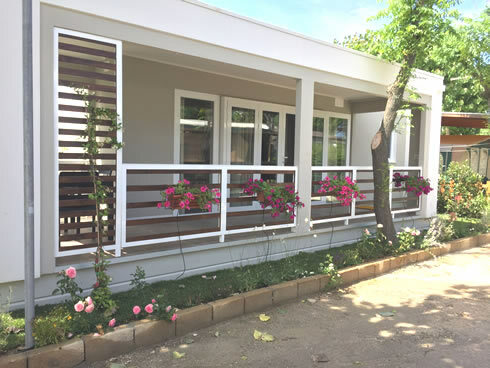 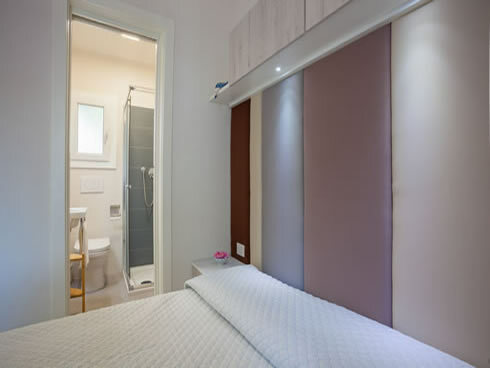 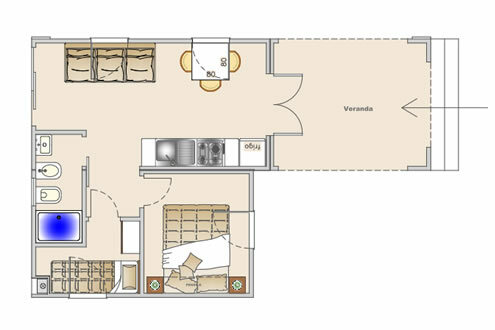 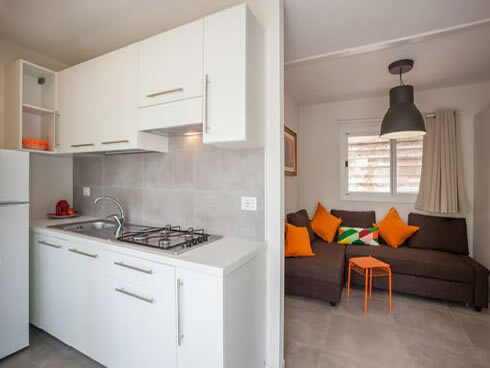 Three rooms: livingroom with kitchnette, master bedroom, 2-bed bedroom, private bathroom, TV, air-conditioning, equipped veranda and little garden. 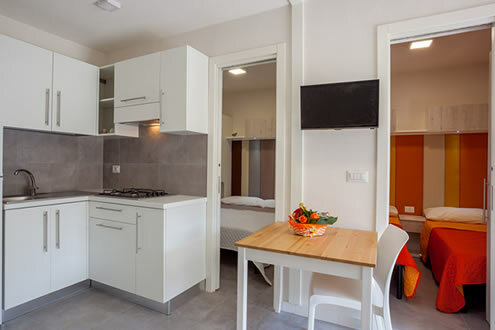 Easily reached, about an hour drive, are the cities of Urbino, a Renaissance town of art and beauty, the medieval town of Gradara, S.Leo, S.Marino; the caves of Frasassi of great scientific geological interest, and the natural oasis park of the Conero, with its stupendous pathways being the most beautiful in Italy.